Vivian Zhu, a swimmer, competes in freestyle. 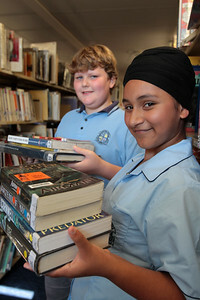 Tyler Simons and Kamaljeet Kaur, Mitchell High School students took part in the Wall of Hands program to raise money for charity. 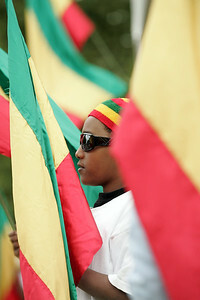 A young man celebrates his Ethiopian heritage at Auckland's International Cultural Festival.